We bring to you health and fitness enthusiasts to introduce the apps, websites, gadgets, and tips that they use in their daily lives. If you’re feeling motivated, come on and #GetFitWithVP! Should you have any stories to share or would like me to feature any personalities, feel free to contact me at jean@vulcanpost.com, or hit me up on Twitter (@jeannkhoo). Leoniel DG is no body builder, fitness coach, or personal trainer; he is a French pastry chef. And if you don’t see why that matters, you’ve certainly missed more than you think. Underneath that chef hat and apron, it’s very unlikely people will associate this 5″7′ tall chef with toughness as the profession itself requires delicacy and craftsmanship. 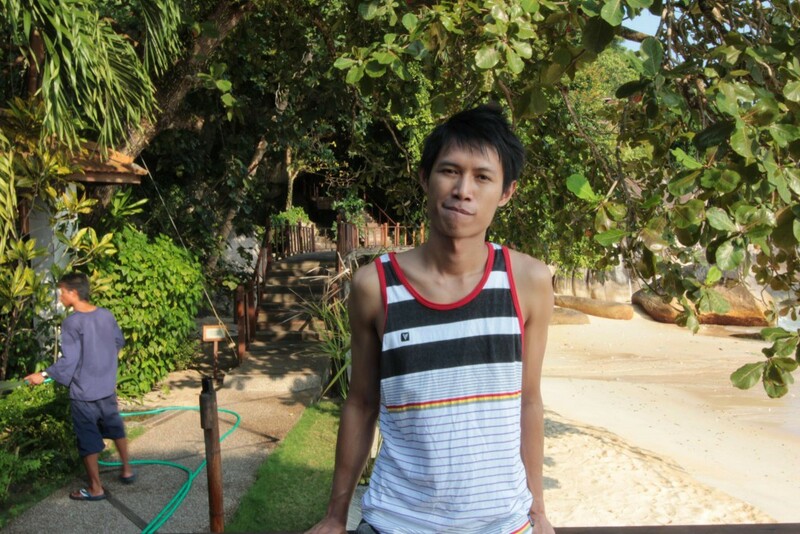 Before he became a pastry chef, Leoniel has worked for two major airlines for nearly 10 years. At that time, Leoniel was living a very unhealthy lifestyle—not eating proper meals and not getting enough sleep. “When you arrive at your flight, you can’t eat straight away because there are so many preparations to do. You need to serve the passengers first, after you finish serving, by the time you eat, it will already be 7 or 8 hours away from dinner time,” he explained. Behind that bright smile, perfectly ironed uniform and spiky hairstyle, it may seem glamorous to be on a plane travelling around the world. As Leoniel was reaching his thirties, he began to be conscious about his health. In 2012, Leoniel made a decision to hand in his letter of resignation to put an end to the jet-set lifestyle. That led him to embark on his fitness journey and recently he emerged as one of the finalists for R U Tough Enough?. Speaking of what sparked the idea to participate in R U Tough Enough?, Leoniel began by citing his interest on physical challenges such as rock climbing. 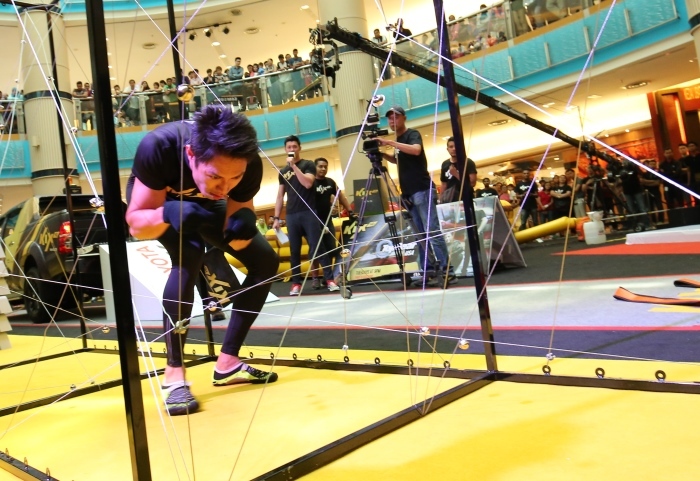 “I always like these kind of challenges, I started rock climbing at a very young age. One night, I was checking my emails, Facebook, I saw their ads, I was like, what’s this about? This sounds quite fun, and you don’t have to pay money to participate!” Leoniel said cheekily. Sitting in front of me, the former flight attendant looked good underneath that grey Abercrombie & Fitch T-shirt; however he shared that before he started weight lifting, he was only 52kg—which was considered as underweight considering that he is 175cm in height. “Wind blow can fly already,” as he jokingly said. In terms of workout sessions, Leoniel mentioned that he normally divides his workout sessions into three parts—upper body, core, and legs. “If I want to do legs, I will dedicate one day only on legs, leg exercises comprises of squats, barbell squats, dumbbell squats, lunges, and these are very tiring.” Nonetheless, Leoniel manages to do these workouts for 1 to 1 and a half hours to solely focus on his leg muscles. You’d think losing weight is a big struggle, but gaining weight to look good and lean isn’t easy either. But other than issues of being overweight or underweight, more importantly, he is now living a much healthier lifestyle that is fueled with positivity. 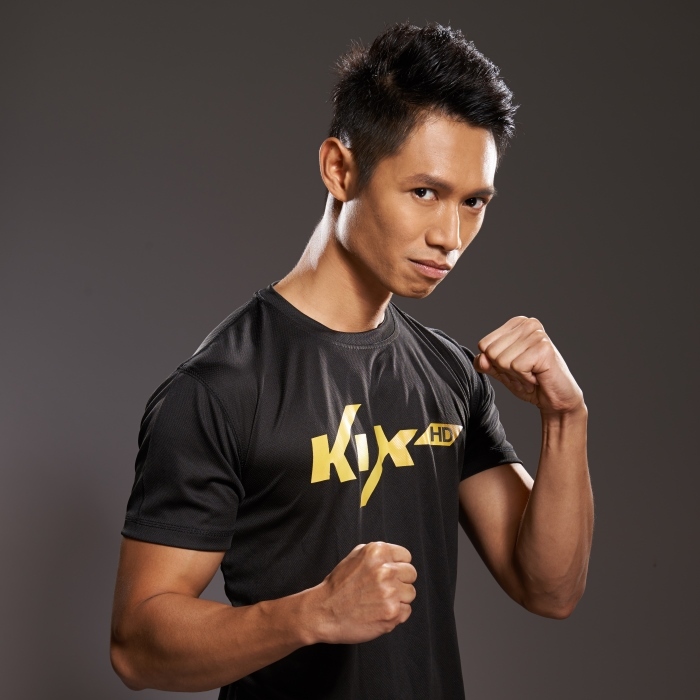 Catch Leoniel in action July 22 on KIX HD’s R U Tough Enough?, Wednesday 9pm on Astro Channel 729.